Wait a minute! Did you just say there are bacteria in my bourbon? Due to the high alcohol content and the fact that alcohol is an antiseptic (it kills bacteria) Bourbon and other whiskies contain little, if any, bacteria. Furthermore, Bourbon and other whiskies are often filtered prior to bottling, which is another deterrent to Bourbon-containing bacteria. However, bacteria do play a very important role in the production of Bourbon and other whiskies. Here we will explore details about how bacteria can affect not only the flavor of your favorite Bourbon, but also how much we can make. 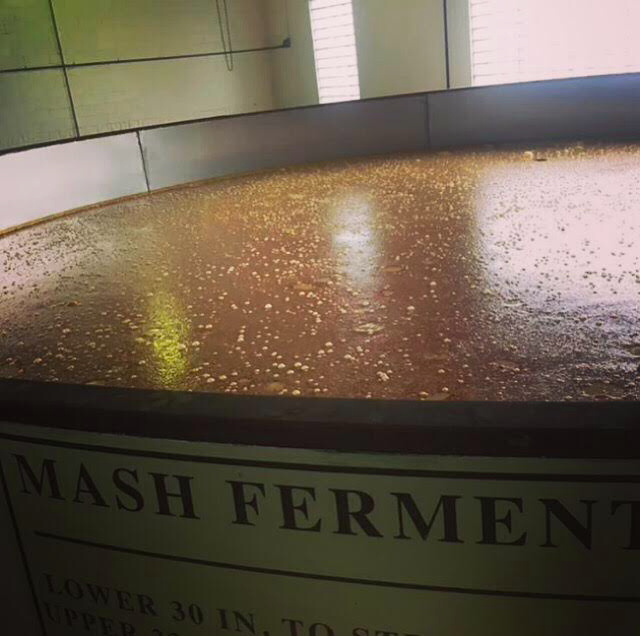 Anyone who knows anything about Bourbon or who has taken a distillery tour is aware that fermentation is an important part of the production process. This is where the cooked grain mash and yeast are mixed together to make alcohol and other flavor components that end up in the final spirit after distillation, which is what goes into a barrel and becomes Bourbon. It is here in fermentation where contaminating bacteria are most prevalent. Bacteria enjoy the same kinds of environmental conditions as yeast such as high sugar concentrations, moderate temperatures, lower pH’s, etc, so fermentation is an inviting place for the growth of bacteria. They are also present on the starting materials for different distilled spirits, which is how they gain entry into the process. Things like corn, rye, wheat and malted barley harbor bacteria that end up in the fermentation. Once in the system, and depending on the level of cleaning that occurs in the fermentation tanks and associated piping, the bacteria will grow to differing levels. This doesn’t sound good so far, however, it is not all bad. As with any Good News/Bad News scenario let’s start with the bad news about bacteria in the Bourbon making process. 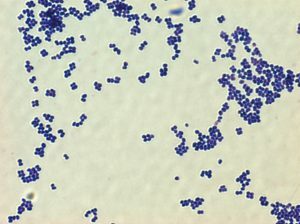 Fig 1 – Pediococcus, a bacterium that can produce diactyl, imparting a buttery flavor not usually dersireable in Bourbon, but very popular in the use of sour beers. There are a couple different pieces of bad news associated with bacteria and Bourbon. The most important is that it can affect how much Bourbon a distillery can make. The bacteria take away sugar from the yeast that could have been made into alcohol. Thus, depending on the level of bacterial contamination, it may greatly affect alcohol production and yield (yield = how much alcohol/Bourbon can I make per bushel of grain). In other words, distilleries make less bottles of Bourbon when they have significant levels of bacterial contamination. The second bit of bad news is that some bacteria can negatively affect the flavor profile. For example, one chemical called diacetyl, which imparts a buttery flavor and is often regarded as negatively affecting flavor can be produced by a specific bacterium called Pediococcus (Figure 1). On the other hand, Pediococcus species are now being used extensively to make sour beers, which highlights one difference between brewing versus distilled spirits production. Not all bacteria impart negative flavors to bourbon. In fact, many distillers believe that the right type and amount of bacteria contribute positively to the flavor. For this reason, distillers will often mention having their own set of “house bugs”- an endearing term used to describe the particular and often unique bacterial contaminants present in one distillery versus the next. The types of bacteria most often found in association with contaminated fermentation mashes at distilleries are collectively referred to as “Lactic Acid Bacteria” or LAB for short. 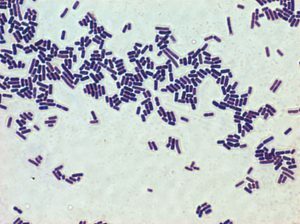 These bacteria include the aforementioned Pediococcus as well as other bacteria like Lactobacillus (Figure 2) and related species. These LAB, as the name suggests, make lactic acid and other “organic acids”, which can impart flavor not only to the resulting distiller’s beer, but also to the final distilled spirit. Vinegar (a.k.a. acetic acid) is one of the more well-known organic acids that contributes to the flavor of certain fermented mashes. Fig 2 – Lactobacillus, or LAB, impart flavor to both the distilling mash and the final distilled spirit. Furthermore, it is well known that organic acids condense with alcohols to form “esters”, which are well known flavor components of Bourbon that develop and change over time as Bourbon ages in the barrel. Some (but certainly not all) distillers employ techniques like intentionally undercleaning, waiting for a period of time before adding yeast to the mash, or even adding bacteria or bacterial by-products directly to fermentation, all in an attempt to capture some of the unique flavors that bacteria can offer. But bacteria are supposed to be gross, right? No! LAB are actually the same group of bacteria used to make fermented foods like yogurt, so maybe that will help you identify with a more positive flavor profile rather than the types of bacterial spoilage you smell when you open a trash can! The intent here was not to cover a Ph.D. dissertation-worth of material, but rather to offer a glimpse into how bacteria affect the production and flavor of Bourbon whiskey. We have examined how bacteria can affect how many bottles a distillery can make by taking away sugar from the yeast. On the other hand, we have also discussed how bacteria might contribute positively to the flavor of Bourbon. So, the next time you are drinking your favorite Bourbon, whether neat, on the rocks or in a cocktail, and/or discussing the complex flavors of this heavenly libation with your friends, bend your mind and try and pick out which flavors are being contributed by the Bacteria in your Bourbon!! Dr. Patrick Heist is the co-owner and Chief Scientific Officer for Ferm Solutions, Inc. and Wilderness Trail Distillery. Ferm Solutions provides yeast and fermentation expertise to distilleries all over the world and is housed at the state-of-the-art Wilderness Trail Distillery.